Bernhard is a young man in his early 20s and he lives in Pasua, Moshi / Tanzania. Since his parents died almost a decade ago, he has been managing his live alone. 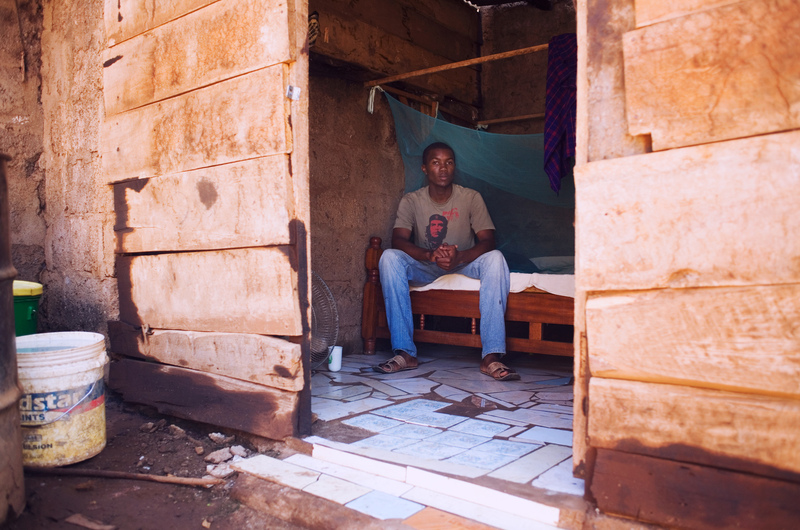 He used to live in a house without power and water supply.The Tanzanian government offers no financial support to an orphan. When Mama Kishe first visited him she found out that there was nothing in the house anymore because he sold it all in order to get needed medicine. His neighbours help him when he has nothing to eat. In return he performs some small tasks for them. Bernad tried to continue school but had to work part time on rice fields in order to earn some money. He always dreamed of becoming a carpenter one day. One guest of the Social Reality Tour decided to donate and payed for the entire carpentry vocation of Bernad so that he was able to finish his training. The Social Reality Tour also supported him with the needed material. Before the start of the Social Reality Tour Bernad lived in a very small house. Through donations of the Social Reality Tour and the participants he was able to build his own house which he now lives in with his wife and son. 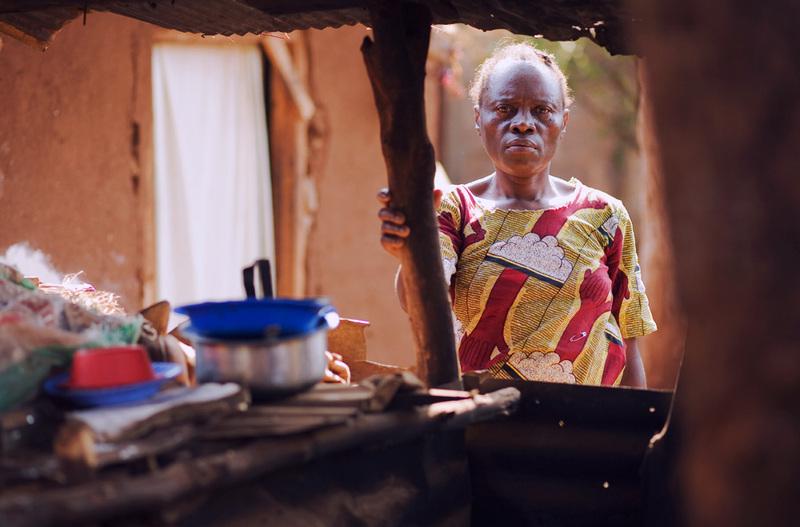 Elisabeth is 50 years old and she lives with her children and grandchild in Majengo, Moshi / Tanzania. She is HIV-positive. One of her daughters got pregnant at the age of 16. When her baby Queen was one month old, she brought it to her Elisabeth and disappeared. This has been 11 years ago. Queen became a happy and smart girl who would like to work as a doctor when she is grown up. At the moment she visits a primary school but her grandmother has problems to afford the school fee which is 19 US$ per year. Elisabeth earns 1,3 US$ per day for washing other people's clothes. This money is often not enough to pay food for three children and the medicine she needs to fight HIV related diseases. So sometimes the family has only two meals per day. Elisabeth keeps fighting, but she really worries about Queen’s future. She wants her to get her dream to become a doctor real in order to have chance for a better life. Salome is over 120 years old and she laughs a lot. Considering her age, she is pretty healthy, only her eyes do not work so well, so that she wears glasses. She has a really good memory and loves to tell stories. 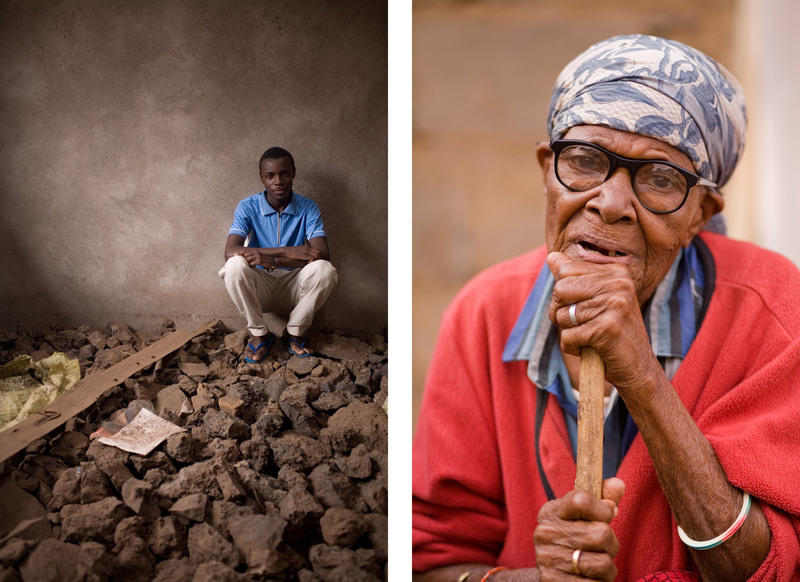 Salome lives with her great-grandson Joshua in two small room in Pasua, a part of Moshi in Tanzania. Joshua is 17 years old and takes care of her since the most relatives already died or live abroad. He does not visit Secondary School because they do not have enough money to pay the school fees and on top of that he is in charge of running the household, washing Salome, washing clothes, drawing water and also cooking if she is not able to manage it at some days. 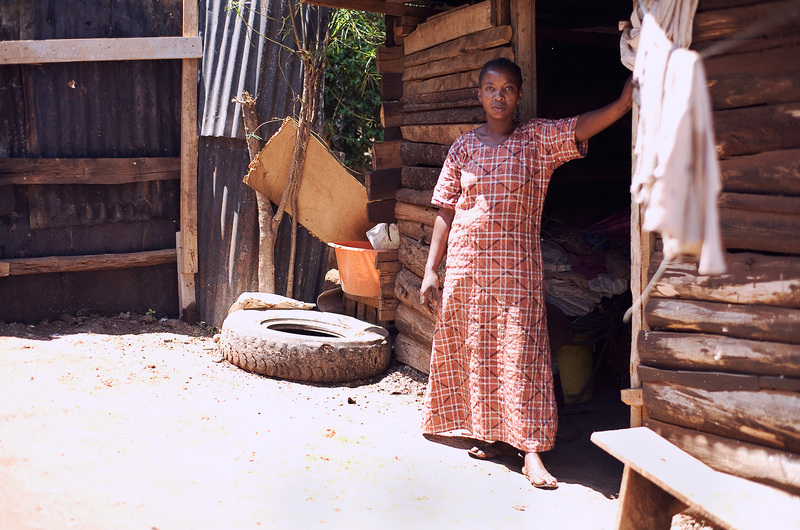 Salome and Joshua have less than 13$ per month to live. Joshua worked for a local mobile provider. With selling sim cards and credits on the street he earned about 3$ per 10-hours-working-day less the money he needs to take the Dalla-Dalla (bus) to the city and have lunch. Now he is working in Pasua overviewing a small garage where people pay money for playing playstation. There he gets about 20$ per month. 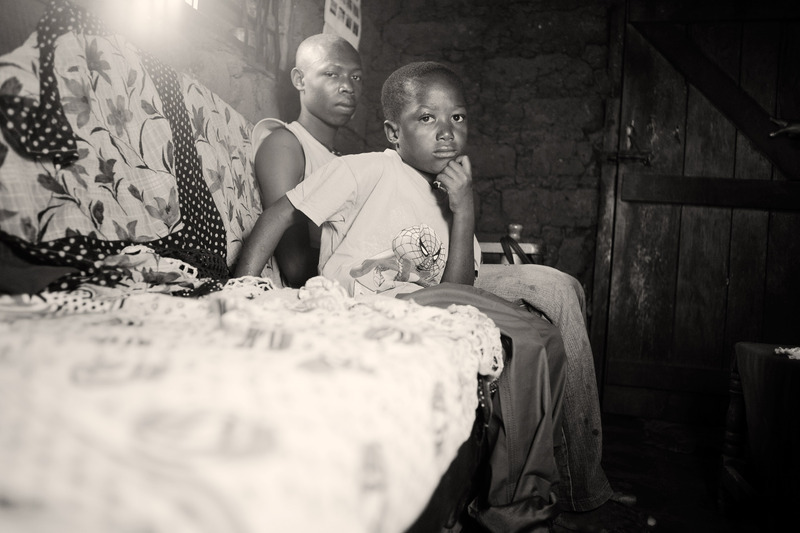 Rajab is 22 years old and since his mother died of AIDS in 2004, he has to carry the responsibility for his younger brother Edd and himself. 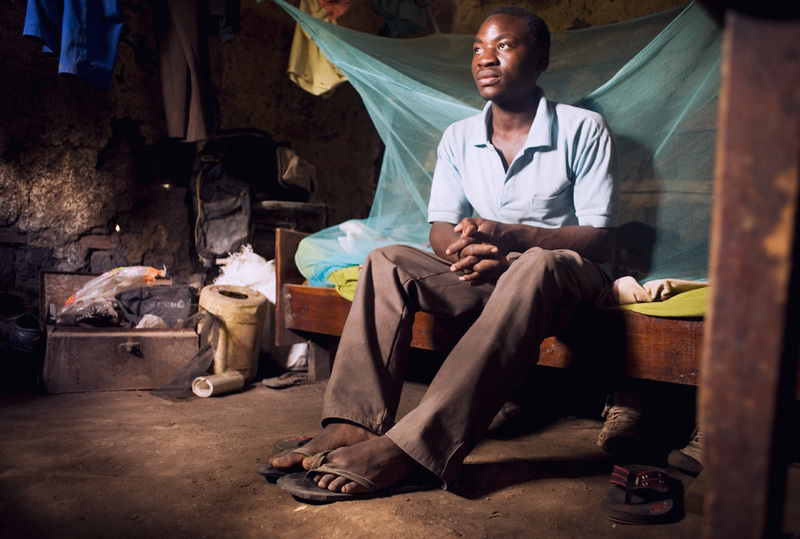 Three years ago, he dropped out of school, because he could not afford the school fees anymore. So he started to work as a Bodaboda driver (motorbike taxi). He works 15 hours per day / 6 days a week, but sometimes his earnings are not even enough to pay the daily fee of 3,5 US-Dollars for the motorbike, much less to buy food for his brother and himself. 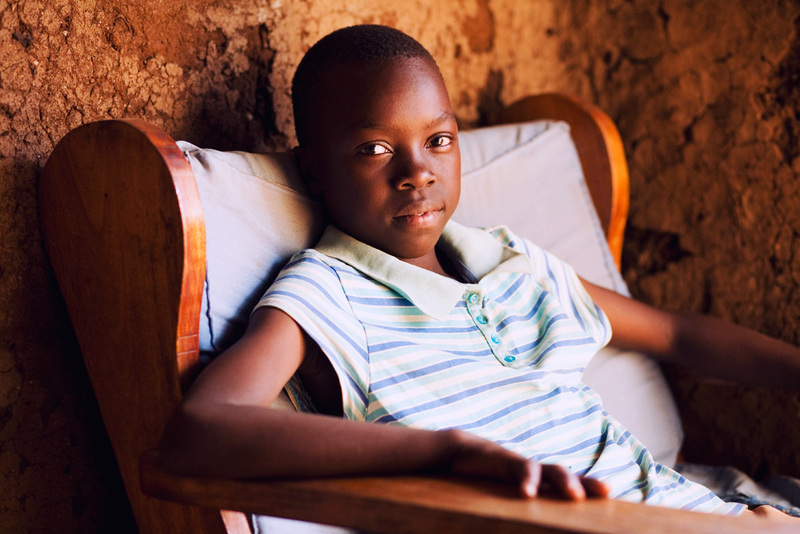 He really worries about his brother who is HIV positive and who has been too ill in the past to start going to school. Rajab knows how important education is –Social Reality Tour helped him pay for his vocation to learn at a garage how to fix motorcycles so now he is able to generate some income to support his brother and himself. 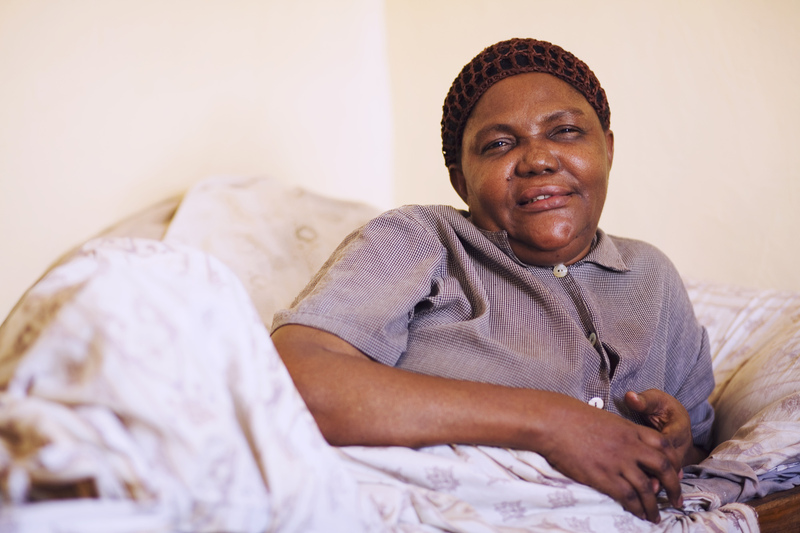 Laurencia is 54, HIV-positive and due to degeneration of her spinal column she depends on a wheelchair. One year ago she fell out of her bed and got a pelvis fracture. Her daughter Faota is 25 years old and has three children. Her husband left her because she kept on visiting and supporting her sick mother. At the moment the family has no income and depends on the neighbors’ help. In fact, Laurencia and Faota have a lot of ideas how they can build up an economically independent life. Faota has already some experiences in keeping chickens and so she would like to keep 20 of them and sell their eggs. Laurencia also wants to get a chamber of rice to trade. If they both got the start-up capital for their projects, they would have a realistic chance to improve their lives on a long-term. Aswimu is 17 years old and he studies at the Marine Institute in Dar es Salaam in order to become a ship engineer one day. Two weeks ago his mother suffered a stroke and because of a power cut in the hospital, the respirator stopped working and she died. From one day to the other Aswimu lost his mother – and his perspective for the future. His aunt is willing to support him, but she has three own children. Aswimu’s brother works as a Bodaboda driver (motorbike), so he does not earn a lot of money and he has a child who needs his care. That is why Aswimu has no idea how to finance his apprenticeship and he is afraid that he can not study anymore.